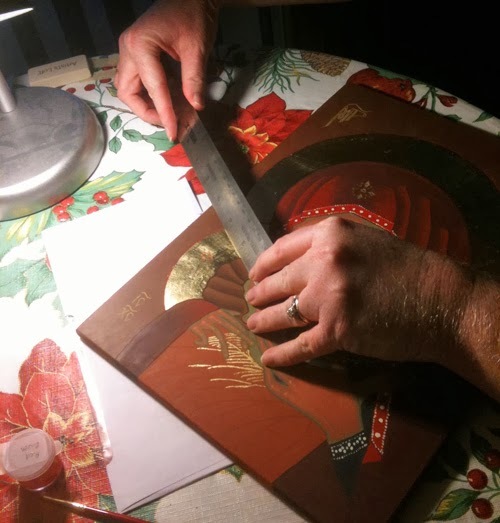 Icon Writing #11: We're done! Sorry for the delay in getting this post out. Helena and I finished our icons last weekend and I get to pick up mine from her place, hopefully Saturday and then get it blessed. It's been a busy last few days preparing for the family gathering on today, Christmas Day, and I still have a little bit to do for that, but first, the icon update. 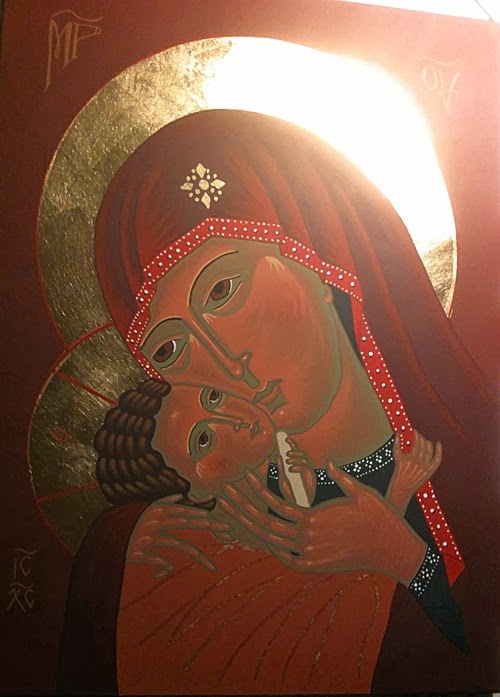 I feel I could write something about the transfiguration of the icon at this point, but the excitement level is still a little too high to be contemplative. The icons are set to dry and cure for at least 24 hours. We headed out afterward for a late lunch and a movie so Helena didn't have to smell the fumes all afternoon.